THESE PRICES AVAILABLE ONLY UNTIL May 31, 2018. YOU MUST BOOK BEFORE THEN. Residents of Vancouver, you have spoken, we have listened. 90% of break-ins are preventable, including at your complex. We’ve put together some recommendations on security upgrades for your complex and for your individual units. The Taymor locks that were installed on your property during the building envelope renovation are not high security. They’re a $10 deadbolt. They are not bump resistant, nor pick resistant. 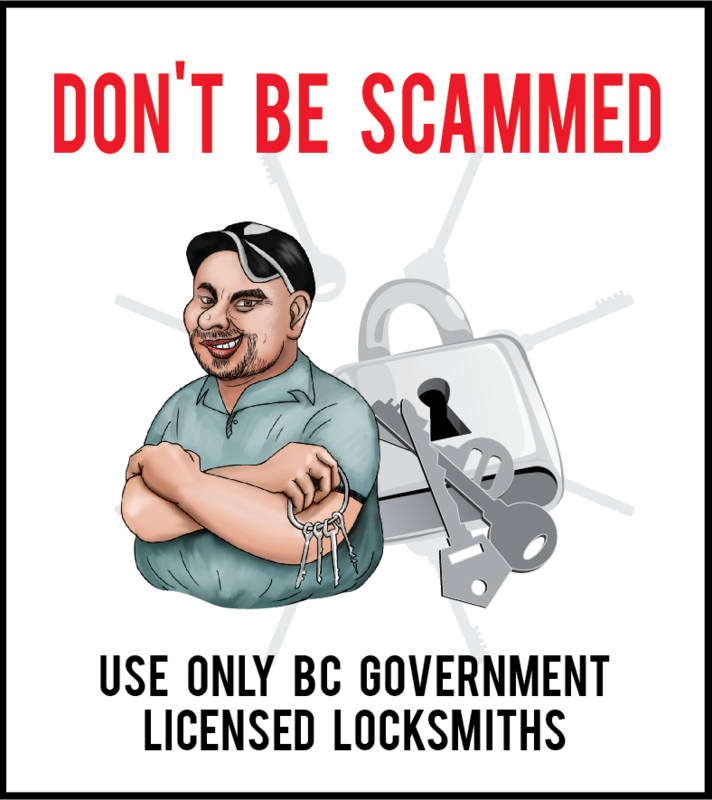 Mr. Locksmith is the largest locksmith company in the Lower Mainland. If you wish to book an appointment to improve the security of your home book online. I am also willing to come to your Strata or Condo AGM or if the owners decide, a security meeting. 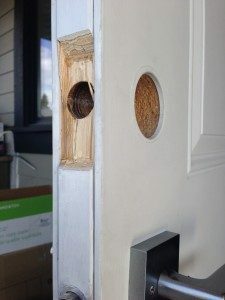 Be proactive, do not let a burglar break-in because of a low quality deadbolt installed on your front door. I train Locksmiths, Military, Police and Government agencies convert and overt methods of entry. 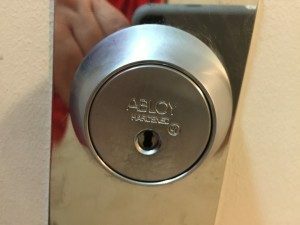 The one Deadbolt on the market that has “no known convert” methods of entry and what I consider not only “pick resistant” but “pick proof” is Abloy Protec 2 Deadbolts. Most thieves go for the front door instead of the back door, or the windows. They act like they’re going to buy something, then kick the door in. 18″ Strike Plate with 3″ screws to secure the plate to the frame and studs to prevent kick-ins. 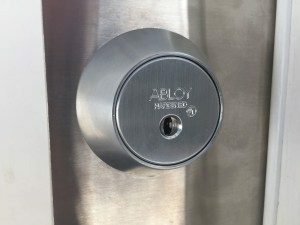 If I get locked out, I know that it will not be an easy job gaining access through my Abloy High Security Deadbolt Protec 2 deadbolt. Most deadbolts and High Security deadbolts can be drilled open is seconds or minutes. I know that I or anybody will be spending a lot of time, effort and money trying to destroy my Abloy deadbolt. If you wish to book an appointment to improve the security of house or condo book online. 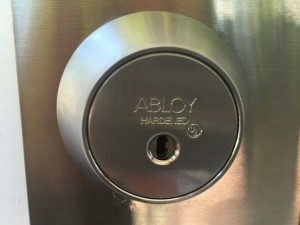 The face of the Abloy High Security Deadbolt has hardened steel and will chew up a dozen expensive drill bits I use to open safes. Note: most safes are opened with one drill bit. 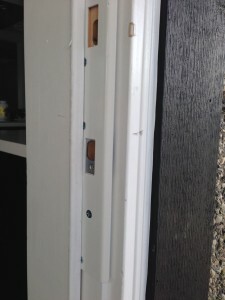 I have reinforced my door with a Mag Plate that doubles the strength of the door and I have reinforced the door frame with an 18″ strike with 4″ screws attaching it to the door frame making the door and frame more difficult to force or kick open. Bottom Line: I want to protect my family, my home and my stuff and I sleep better and go to work or vacation knowing I have the best lock, ABLOY Protec 2 deadbolt installed on my doors. 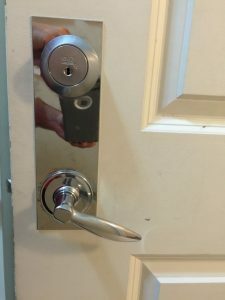 We at Mr. Locksmith suggest Vancouver residents upgrade to an Abloy High Security Deadbolt deadbolt with the following. 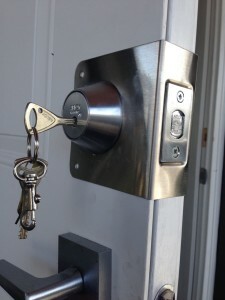 – Abloy deadbolt supplied and installed price per door: $550-$650 + $30 per key. All prices supplied and installed. GST & PST extra. 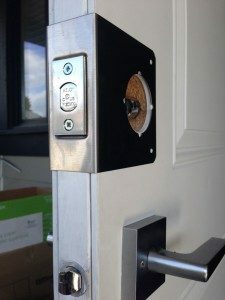 There are Vancouver residents who are concerned with their security and have determined that they will require a high security lock. One of the reasons for this has to do with the problem of “Bump Keys” that have recently been highlighted in the news. A Bump Key is a device that works much like a lock pick. In addition, information regarding its construction and use is available to anyone online. As a matter of fact there are literally hundreds of videos detailing how to make and utilize a Bump Key on the Internet! 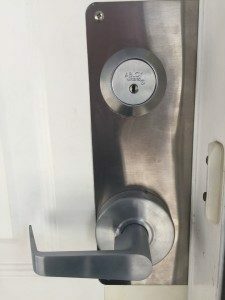 To make this situation even more serious, it doesn’t take any real level of expertise to use a Bump Key on your Taymor locks in Greenside Estates, since they are easier to use than a lock pick. Also, since a Bump Key resembles a normal key, law enforcers are less prone to noticing them, as opposed to lock picking tools. For this, and other reasons, bump-resistant and pick-resistant locks are in high demand. For locking systems of this nature, one of the most trusted names in deadbolts and other locking devices is Schlage. 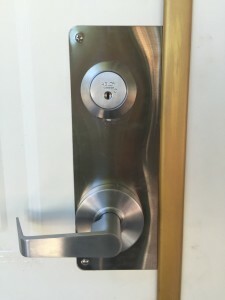 Schlage offers high-security Primus keys and cylinders and can also provide a 2nd milling that gives the advantage of a seamless integration with a current Schlage lock. This will also deter an unauthorized key replication by requiring an entry that is based on a pre-approved signer’s list. 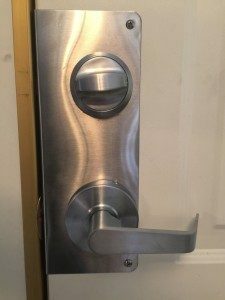 The Schlage B600 Series is a commercial grade deadlock that is also exceptionally good for residential use especially in Greenside Estates, as well. This series of deadlocks possess bronze or solid brass cylinder collars along with an “ice-pick resistant” security shield. They also have ball bearings made of hardened steel, which are designed to protect their 2 heavy¼” mounting bolts against attacks that use a drill bit. The entire B-Series (standard strikes) include a reinforcer that will attach to a wood frame with 2 heavy 3-inch screws. This design allows it to resist a kick-in attack. It will also resist cylinder wrenching due to its reinforced collars. 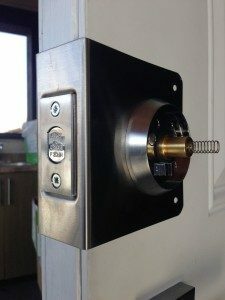 These locking systems can be used for more than just securing an entrance door. They are also perfect for protecting; storage facilities, pool gates, utility spaces and anywhere else where a high level of security is desired. The B600 series deadbolts can also be obtained with a choice of solid brass or bronze trim rings. We were asked about how to protect your cars, sheds, and windows and patios. I have the Top 10 security tips to secure your home during the holiday season. 8- Lock your windows, doors, etc. all the time. 9- No Empty boxes outside showing off your new TV etc. Bonus: Engrave everything, take pictures and serial numbers. We get it, you are proud of your acquisitions and your possessions. There is no shame in that as you have worked hard to obtain all these items after all. However, remember a constant stream of boxes littered on obvious places in your house such as TV boxes scattered by the trash bin outside, online shopping shipments delivered to your homes, etc. is one way to get you noticed. Remember, robbers usually scout neighborhoods and mark potential homes as targets before committing a robbery and if you are constantly leaving traces of your purchases outside your home, you may be as well as pointing a big red arrow towards your house. Over a third of burglars enter the house through the front door. 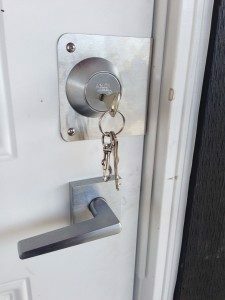 After knocking to confirm no one is home, they’ll test the door to see if it’s unlocked. An alarming number of times they’ll discover they’ve hit the jackpot and walk right in. Keep your doors locked, even if you’re just running the kids to school or walking the dog. As a law enforcement officer, I took several reports of burglaries that occurred while the homeowner was right in the backyard playing with the kids. So don’t assume your presence will scare him away. When keeping your home safe, it’s important to leverage all your assets. This could be neighbors, proper gardening, and the police. But with cops on call several miles away, it’s unlikely that a law-abiding passerby will report a break-in. A security system can help automate this whole process for you, using censors to detect intrusion and reporting the incident to the security company, who can contact the proper authorities. You’ll need allies in your fight against burglars, and a security system is your Bat Signal. Realistically, cars will always get broken into if they are outside in your clusters or your visitor parking. Auto crime is huge in both Surrey and Langley. 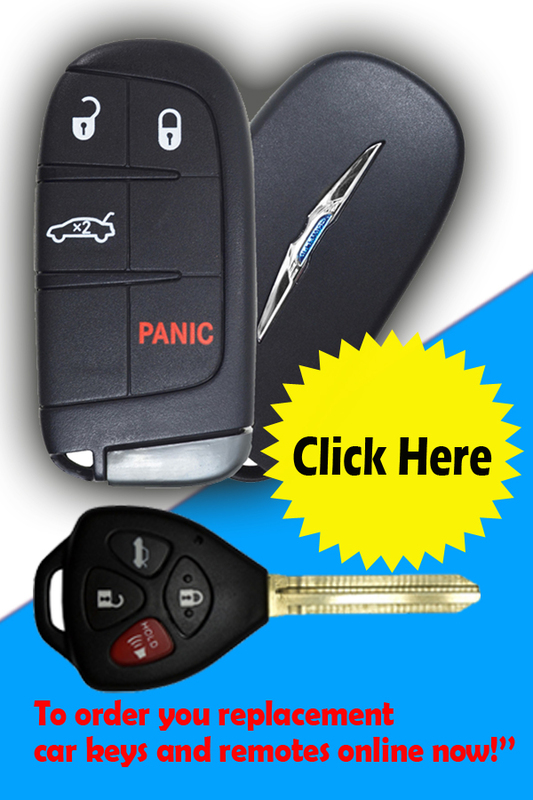 Because Greenside Estates does not have a garage, we suggest an alarm and a club to secure them. Do not leave valuables inside of your vehicle at any time. A Greenside Estates resident mentioned that her neighbours living was broken to enter the house. 3M break resistance film that’s also earthquake resistant will help prevent this. Do not leave your windows and patio door unattended. When leaving your property, close all of your windows and lock them. Unlocked doors and unlocked windows are an open invitation to thieves. Many residents at Greenside Estates own sheds. Shed security depends on the door, but almost exactly the same protection as your front door (when properly secured). 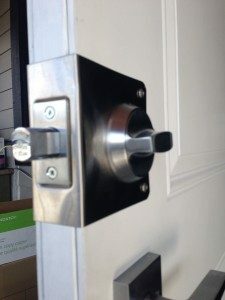 We would install a door blocker on your shed that would fit on the front of the shed deadbolt. Mr. Locksmith replaces and repairs mailboxes in most cases within 24 hours. There is no reason you need to replace everything. Be cost-effective. Contact us and we’ll give you a quote on fixing your mailroom fast, quick and easy. If you wish to book an appointment to improve the security of your Vancouver home, call (604) 330-9915 or book online.